Chryssa Wolfe with Hanlon Design Build creates homes that reflect our clients’ individual life stories: what they like, how they live and what they want their dream homes to be. Every home we create is unique—just like our clients. We welcome the opportunity to help you tell your life story through a customized design that will make our house your home. We offer a seamless process that develops your dream home from concept to completion—all under the direction and cooperation of one team. Everyone from the designers to the tile setters will share and embrace your vision from the moment the design is created until the last nail is hammered in—on time and within your budget. When you combine the creative artistry of Chryssa Wolfe and the meticulous engineering talents of Jake Hanlon, magic happens. 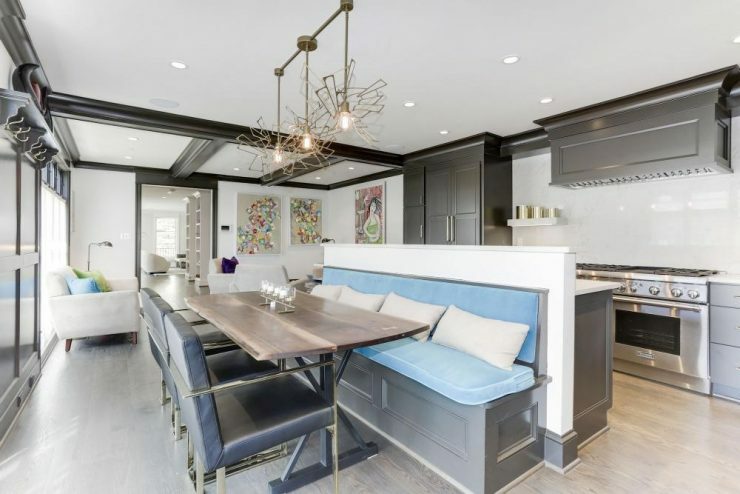 That is why our homes are renowned throughout the Metro D.C. region for unique designs, unbridled creativity and quality craftsmanship. We are widely recognized as the preeminent residential design-build team in the DC/MD/VA region. You might say some of our projects are inspiring. 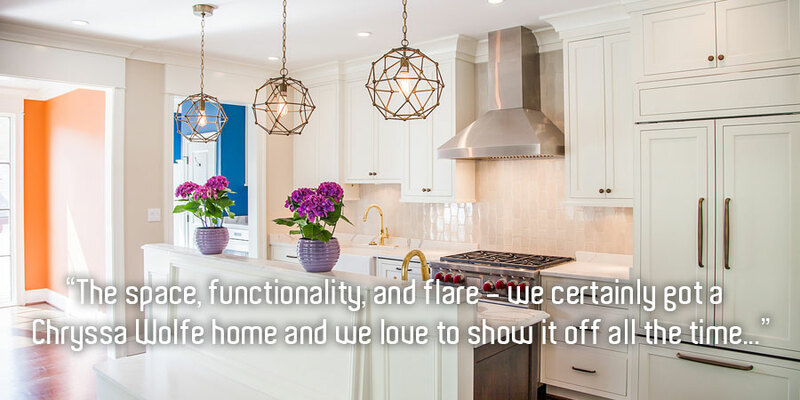 Our clients proudly showcase the homes we have created for them—and we are glad they do! With hundreds of projects under our belt that encompass everything from complex renovations to stunning custom homes to a designer kitchen remodel, we have lots of examples of our creativity, artistry and craftsmanship. What inspires you? 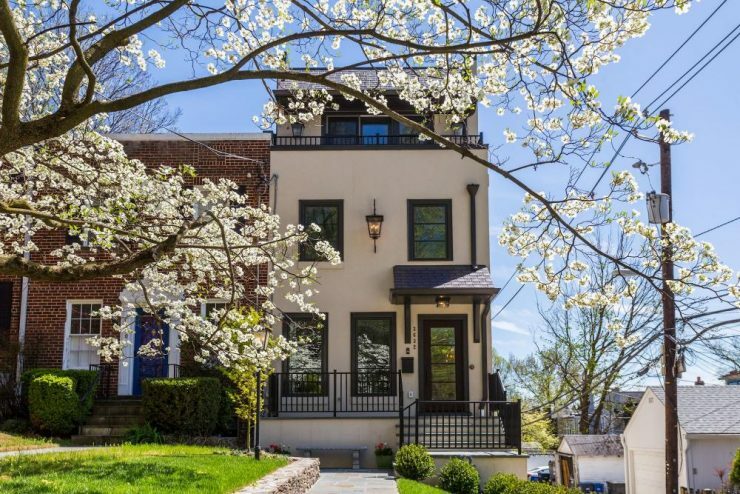 Four-levels of luxury living in a desirable D.C. neighborhood! 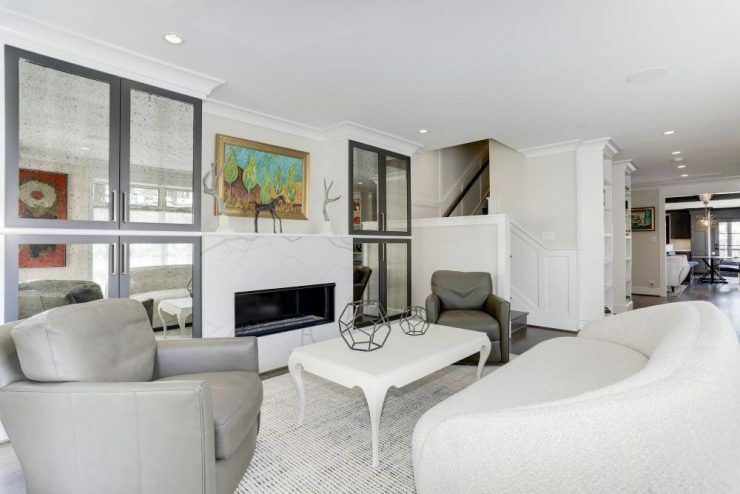 This home features designer lighting and hardware, gourmet appliances, five-inch oak floors, beamed ceilings, elevator, custom built-ins, a screened-in porch off the main floor and balconies off bedrooms on the second and third floors.